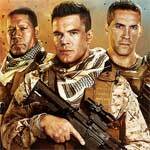 Jarhead 3: The Siege is at least an okay flick though it takes more than a few cues from the real life events in Benghazi that were portrayed in the big budget Michael Bay flick, 13 Hours. As it is, it’s passable entertainment. What started off as an interesting story about the Milgram Experiment turned into a bit of a bore of film in the second half, though Peter Sarsgaard does give a fine performance and director Michael Almereyda certainly didn’t go the conventional route in the story and filmmaking style, so Experimenter does at least stand out in that regard. 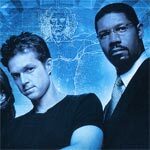 “Now and Again” was lauded by critics and audiences alike but never quite caught in the ratings in no small part due to a network unsure where to place it, thus it was a one-and-done series that finally got to see the light of day with a relatively impressive DVD release. The audio and video transfers are more than serviceable, though it does show its age, while the bonus material is well done as this could’ve easily been a cut-and-paste, featureless, release. Random Hearts is one of the few stumbles in director Sydney Pollack’s career. It’s a film with an idea that looks good on paper but when you put all the other ingredients together, it doesn’t gel that well on film. Both Ford and Thomas do their best, even when a few scenes are pretty excruciating to watch, and despite an impressive supporting cast, the film as a whole doesn’t work.